What’s the fastest train in the world? Well, depending on what exactly you mean by ‘fastest’ and ‘train’ there are a few different answers, but Japan has a train with a very strong claim to the title. France’s SNCF railways made headlines around the world in 2007 by achieving 575 km/h on the newly built line between Paris and Strasbourg. But this was a specially built train that was only ever used to break the world speed record – so does it really count? And while it was widely reported that this was the world’s fastest train, a little bit of investigation suggests otherwise. 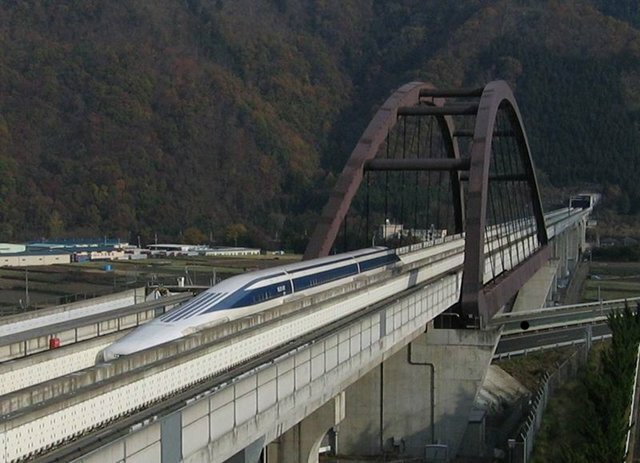 Japan’s JR-Maglev train, which uses magnetic repulsion to make trains levitate above the track, had already achieved a record speed of 581 km/h on 2 December 2003, and on 21 October 2010, it went on to set a new world record of 587 km/h. What’s more, this was with a real train that can actually carry passengers – although in commercial operation the top speed will be only 500 km/h. The drawback is that so far only a test-track has been built – and that has only one station – making it absolutely useless as a transportation service. Work is underway to extend the existing test track into a new line that reaches all the way from Tokyo to Nagoya. This will necessitate building a tunnel straight through the Japan alps which lie in between, so more than 60% of the line will be underground. The journey time between these cities will be reduced to 40 minutes, compared to the 1 hour and 36 minutes it takes via the existing high-speed line that goes around the mountains. But don’t get your hopes up too soon – this new line isn’t scheduled to open until 2027. 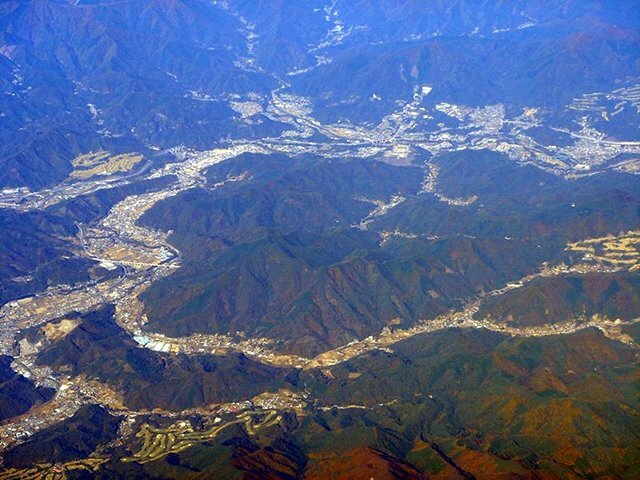 Part of Japan’s maglev test track can be seen as a white line towards the left of the photo – most of the rest of it is in a tunnel inside the mountains. The scenery in this picture is typical of most of Japan outside of the big cities – densely populated towns are squeezed into valleys between steep mountains. The fastest train which currently provides a real service that lets you get from one place to another is the Shanghai Maglev, which takes you from the airport to central Shanghai in just seven minutes and twenty seconds. The top speed is 431 km/h (although on test runs it’s achieved 501 km/h), but as the distance is so short, the train has to spend much of its time accelerating or decelerating. It’s undoubtedly a highly impressive world-class achievement – but it doesn’t do an awful lot to help anyone get anywhere faster: most regular travelers just take a taxi directly to their destination as it usually works out quicker.